The NFC-compatible Xiaomi Mi3 equips a quad-core Snapdragon 800 processor which you would normally find on most of the high-end smartphones. The device is just a single SIM (standard) supported alongside a limited storage in addition to no storage expandability. That aside, there is literally nothing you won’t find in this device that normally accompanies premium phones. Absolutely recommended! 2. Premium display and looks. It has it all - a wonderful unibody design, a top-notch Snapgradon 800 processor with 2GB RAM, wonderful 13MP camera, and a long lasting battery life. It feels so premium in hand, although its been more than 3 years I have been using this. Worth every penny. Good phone. 3 Pricebaba users have written their experience with Xiaomi Mi3. 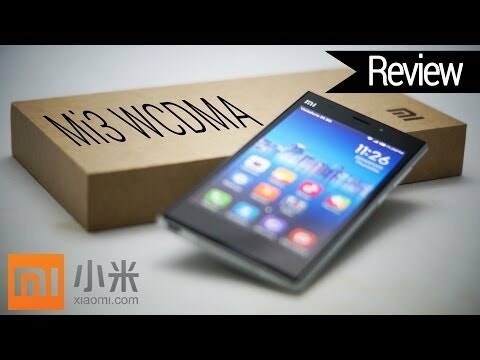 If you own Xiaomi Mi3, please do leave your feedback too. Lowest price of Xiaomi Mi3 price in India starts at Rs. 13,999 Xiaomi Mi3 is available on Flipkart at Rs. 13,999. Prices updated on 21st April 2019. Xiaomi is a relatively new Chinese smartphone maker that has made headlines around the world. Xiaomi has made Mi3 by compiling some of the best components available on the planet. It boasts a 5 inch IPS HD Display with a resolution of 1920x1080 pixels which translates into a crispy pixel density of 441PPI. The display is made by either Sharp or LG, both of which are known to supply displays to Apple for its iPhone and iPad. It is known to have great viewing angles and colours appear vibrant. Under the hood, there is a Quad-core Qualcomm Snapdragon 800 processor which clocks at 2.3GHz. The processor is paired with 2GB RAM and backed by an Adreno 330 GPU. The chipset is very powerful and capable enough to churn any task thrown at it efficiently. Similar hardware is used in the Google Nexus 5. Xiaomi Mi3 sports a 13 Megapixel Exmor sensor which is provided by Sony. The snapper has been aided by a Dual-LED flash (made by Philips), which will enable the device to capture good images even in low-light conditions. The smartphone even supports Full HD video recording as well. Also, there is a 2 megapixel secondary camera included for video calling and selfies. The only drawback of this phone is that it supports Single-SIM. We just hope that this does not become Achilles Heels for Xiaomi. On the Connectivity front it offers Bluetooth, WiFi, GPS, NFC etc. There is no 4G connectivity. The beast is powered by a 3050mAh battery, which as per company claims should allow the user to surf seamlessly for 21 hours on 3G network. It comes in two variants, 16GB and 64GB of internal memory but lacks an external card slot.